I have been wanting to build a roundy-round set in the early 1950’s so I can run my Bachmann 2-8-0. 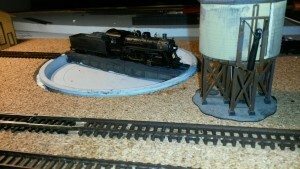 My friend Smoken’ Joe D’Amato really planted the seed when he gave me a Micro-Trains engine house. This engine house has many components that look and feel like John Allan’s Gorre and Dephetid engine house, except that it is open on one side and is a single stall. 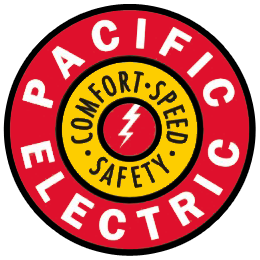 I have decided to model the Pacific Coast Railway as if it survived WWII, was standard gauged and was purchased by the Southern Pacific. I am using Atlas Code 80 track with Customline #6’s. My 9 year old daughter has a dozen or so Micro Trains cars AND a Burlington Northern SW1500, so I am using the heavier track instead of better looking Micro Engineering code 55. 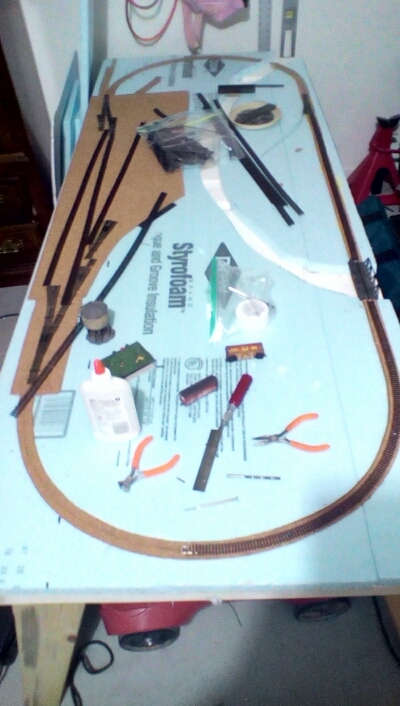 So far, I have built a PECO turntable, a Micro-Trains engine house and Military Warehouse, a Dimi Trains water tower, and an Atlas Suburban Station for the layout. 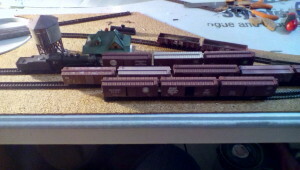 I am using Southern Pacific standard colors for the buildings. The layout is built on a 30 inch hollow core door with an inch thick layer of extruded polystyrene foam. As of right now, the legs are simply a pair of sawhorses. I hand cut the cork roadbed. 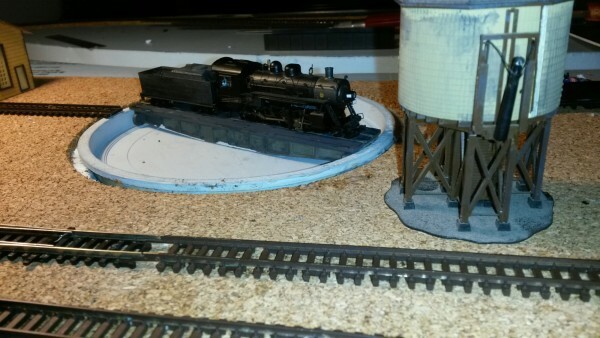 I am planning to build a mountain on the south end of the layout, and I am still debating wether or not there will be water in Alma Pintado Creek, after all, it is Central California. Due my stockpiling of supplies, I have. My choice of three different tunnel portals, and I may have to cast one. I also have enough Woodland Scenics foam and trees in stock to easily complete this layout with only having to buy plaster and two part epoxy for the creek. This layout is now stripped and a workbench….